According to 12-month results, the growth can reach 3–3.5%, or up to 350 ths t on a carcass weight basis. The poultry production slowed its momentum which already affected the wholesale and retail prices. According to the 9-month results of 2018, the total meat production volume increased by 4.6% compared to the same period of the previous year. “Poultry production increased by 1.4%, pork production – by 9.9%, and beef production – by 6.9%”, said Anna Kudryakova, leading expert at the Institute for Agricultural Market Studies (IKAR). According to Yuriy Kovalev, CEO of the National Union of Pork Producers (NUPP), in the outgoing year, the production volumes of all types of meat will grow by 3–3.5%, or 350 ths t on a carcass weight basis. “The total production will reach about 10.6 mln t, while in the previous year it has reached 10.2 mln t”, said Maxim Sinelnikov, deputy director at the National Meat Association (NMA). This year, the pork production will lead in volume increase rate again. Although in 2017 this sector slightly slowed its momentum, in 2018, the pork production continued to grow intensively. According to NUPP’s forecasts, the industrial sector will grow by 9.7% or 230 ths t on a carcass weight basis, which is higher by a third than in the previous year (7.4%). The production of household farms and farm enterprises continues to fall: -5.8% and -3.6% respectively. “The total production will increase by 230–250 ths t reaching 3.7 mln t”, Kovalev said. “This is one of the highest growth rates in the last ten years.” From January to September, the sector increased by 184 ths t on a carcass weight basis. “During this period of time, the livestock also increased: by 3% in all businesses and by 5% in the industrial sector”, the expert said. The pig stock decreased by 6% in the household farms which was largely due to the African swine fever spreading to new regions in Ural and Siberia. “The pork market leaders continue their development in the outgoing year”, Kudryakova commented. “Miratorg” and “AgroPromkomplektacia” increase their production volumes in Kursk region, “Cherkizovo” puts new facilities into operation in Lipetsk and Penza regions, while “Rusagro” actively realizes a project in Primorsky Krai. There is an increase in livestock and meat processing capacity expansion in Tver, Vladimir, Kaliningrad, Saratov, Tatarstan and other regions. “Nevertheless, since there is often a limited volume of supply in the pork market, the production costs rise during this period of time”, the expert said. According to Albert Davleev, Vice President of the International Poultry Development Program (UIPDP), the growth of the poultry production will hit record low — no more than 100 ths t (+2%), due to a number of different factors. First of all, due to the sharp rise in the prices of feed grain (by 35–45% depending on the region), soybean meal (by 10–15%), veterinary drugs and feed supplements (by 10–20%), fuel (particularly motor fuel — by 10–15%). On the second hand, due to the shutdown or decrease in production of several small regional poultry plants, for example the Volga holding company “MAPO”, “Atemarskaya” in Mordovia, “Ivanovskiy Broiler”, “Chuvashskiy Broiler”, “Sheksninskiy Broiler” in Vologodsk region, Tolyatti poultry plant in Samara region, “Mihailovskiy Broiler” in Primorky Krai, and the suspension of production of one of the leaders in the broiler segment — “Belaya Ptitsa” (over 100 ths t) due to financing problems. Thirdly, due to the avian influenza outbreaks seen in different companies on multiple occasions during the second half of the year. “Some of those losses, however, were compensated by the increase in capacity of several companies (construction of new poultry houses and other facilities) and improvement of the performance characteristics (livestock safety, feed conversion ratio reduction, weight gain, etc. )”, the expert added. “We also couldn’t achieve turkey production growth which was forecasted in the beginning of the year”, he also added. “Mostly due to the avian influenza in “Damate” and “Eurodon”, and also due to the commercial livestock liquidation in the Eurodon’s plants.” As of year-end 2018, the production will reach approximately 244 ths t instead of the expected 327 ths t on a carcass weight basis. “The poultry market was the first to show signs of saturation which greatly influenced the negative price trends from the late 2016 to May 2018”, Kudryakova said. The difficult competitive conditions in which the poultry plants were forced to exist in 2017 significantly affected their development in the outgoing year. According to the expert, the production volume growth was not planned, and the companies had hard times fighting the last year’s long period of low prices that couldn’t cover the costs. A number of large companies are currently in dire financial straits which affects the broiler production volumes. “The production in Belgorod region decreased by more than 8%, in Kursk region — by 24%, in Rostov region — by 80%, while in the other large regions the reduction was from 1 to 9% in the first nine months of this year”, Kudryakova explained. “The growth rate reduction in poultry industry was particularly noticeable since midsummer”, she said. “From July to September, the production volumes were lower than the last year’s volumes by 2%, despite the fact that the market leaders, such as “Cherkizovo”, “Prodo”, “Resource”, etc., reconstructed their plants in different regions in 2017—2018.” The reduction in poultry stock and minimizing the broiler carcass weight were additional factors that significantly affected the production volume decrease during that period of time. In summer, the poultry stock is usually reduced due to the loose stocking (necessary during that time of year) and the higher spreading of infectious diseases. The expert believes that as of year-end 2018, the poultry production in agricultural organizations will remain approximately at the last year’s level — 4.8 mln t on a carcass weight basis. According to NMA, the total poultry volume will reach 4.97 mln t versus 4.85 mln t in the previous year. “The Russian beef market is traditionally less dynamic than the other meat segments”, Kudryakova said. However, in 2018, there were also great changes. In early September 2018, the cattle stock in enterprises from all categories decreased by 0.4%, reaching 19.5 mln. In nine months, the production volume of beef produced from specialized beef breed and mixed bred cattle reached approximately 400 ths t on a carcass weight basis in agricultural companies, which is by 6.6% higher compared to the same period of the previous year. In 2018, the industry may grow by 3–4% compared to the last year. “The deficit remains high in the market which depends both on the reduced supply by Russian manufacturers and on the decrease of import beef deliveries to the country”, she said. “Miratorg” company is the leading producer of beef made of specialized beef breed, and its production is concentrated in the European part of the country. In Southern Russia, significant volumes of this type of meat are produced by “Agrokomplex N. Tkachev”. “Eco-Niva” continues developing in this direction in several regions of the country, while “Ak Bars” is working in Tatarstan. Several factors influenced the meat industry stability in the outgoing year. One of the most important factors was the factor of veterinary well-being or rather ill-being. “In the second half of the year, the outbreaks of African swine fever (ASF) and avian influenza led to serious fluctuations in the pork and poultry markets limiting the production volume growth in those segments”, Davleev commented. In both segments there are continuous processes of company enlargement, bankruptcy of small and medium producers, further vertical and horizontal integration. The rising prices of fuels, lubricants and feed ingredients, as well as the limited possibilities for product export also had a negative effect on the industry. “Regarding beef production, the improvement of the technologies for housing and productiveness of milk producing cattle leads to the reduction in cow and bull stock, resulting in the decrease in production volumes of this type of meat”, the expert also said. According to Davleev, a relatively positive factor which allowed continuous investments in new projects was the stabilization of the credit interest rates. At the same time, the expansion of the retail chains both from larger to smaller communities and to new geographical territories as well, allowed the producers to sign more guaranteed contracts resulting in more opportunities for sales and production planning. In addition, the retailers have more leverages over suppliers which definitely reduce their profitability. The National Meat Association talks about the industry threats caused by the intervention of authorities into the production activities. “The incoherence in actions of different government agencies is surprising, to say the least: on the one hand, there is a task to enter the global meat market, however, on the other hand, businesses face numerous obstacles which lead to the fall of competitiveness of Russian products”, said Sergey Yushin, Executive Committee Chairman of NMA. According to the expert, the changes in environmental law are one of the most negative factors. The transition of the companies to the Best Available Technologies (BAT) aimed at a sharp decrease of ecological damage is planned to start in 2019 and finish in the mid 2020s. “This idea is good but its interpretation and the absence of transitional periods cast doubt on its practicability”, he also said. “The African swine fever outbreaks in Russia already affected distant territories and business activities of the local companies”, said Sergey Mamontov, CEO of the agricultural holding company “Yubileyniy” (Tyumen region). “There were outbreaks in our region, as well as in Omsk and Chelyabinsk regions. Of course, it has a negative effect on the operating effectiveness, creates obstacles in trade and purchase of raw materials, and it also leads to the increase of biological safety costs”, he also said. According to Konstantin Klyuka, CEO of the agricultural holding company “Promagro” (Belgorod region), one of the positive factors is that in 2018, despite the forecasts, the pork prices in the b2b segment were the same as last year. It was, among other things, due to the ban on the pork import from Brazil which led to the excess of demand over supply. “The Russian producers quickly filled that niche, but the summer and the barbecue season were longer than usual”, Kovalev added. FIFA World Cup also had a significant effect on the increase in demand for pork. The supply was also decreased by three big outbreaks of African swine fever (in Kaliningrad, Belgorod and Novgorod regions). “Apart from the direct losses caused by this disease, it also affected the logistics resulting in significant rise of local prices in specific regions”, the expert added. “The rise in grain prices had a negative effect on the meat industry (the last time such level was observed about five years ago) which will result in a cost supplement at least by 10% next year”, Konstantin Klyuka said. “The feed is minimum 65% of the broiler meat cost price”, said a representative of “Zdorovaya Ferma” (combines poultry plants in Ural). The rise in its price has a negative effect both on the lower livestock weight due to the diet correction (and consequently leads to a longer term of bird fattening) and on the final price of broiler carcasses on the store shelves. “The costs are higher not only due to the rise in grain prices but also due to the rise in soybean meal prices”, Andrey Dalnov, Strategic Marketing Manager at “Cherkizovo” said. This ingredient and its substitutes have a greater part in the feed price than grain, while their prices remain at record high. “The expensive soybean meal forces the producers to search for cheaper and less effective feed formulas which leads to a decrease in production”, Dalnov also said. The market saturation with poultry and pork in the first half of the outgoing year forced the experts and market players to forecast further decrease in product prices. “The self-sufficiency in pork reached almost 100%, and in the summer, a seasonal drop of the wholesale prices was expected, like in the last two years, but by circumstance, the scenario was different this time”, Kovalev said. The African swine fever outbreaks in large companies (“Rusagro”, “Pravdinskoe Svinoproizvodstvo”, “Novgorodskiy Bekon”) led to the disposal of a certain volume of products. Moreover, since July 1st the electronic veterinary certification system “Mercury” has been implemented which eliminated a significant part of the shadow economy and contraband resulting in market supply decrease”, the expert noted. Concurrently, the hot weather during the whole summer led to the sharp growth of the pork demand — “the effect of the barbecue season.” All this led to the temporary rise in wholesale prices. The poultry market was stagnated until the end of May holidays, while the broiler prices hit three-year abysmal lows in the first and in the beginning of the second quarter — they were at minimal levels. “The growth was triggered by the rise in pork prices since late May due to the fact that the Brazilian meat which was imported in Russia last year, before the import ban imposed by the Federal Veterinary and Phytosanitary Monitoring Service, was no longer available ”, Davleev commented. The barbecue season and the usual for early summer growth of the demand for meat and sausage products in the midst of lack of pork led to the deficit of poultry as an alternative raw material source for meat processing companies and traditional products for the retailers. At the same time, the feed and fuel prices started to rise which led to the increase in poultry product costs, and the producers were forced to partially compensate this increase by raising the factory prices. The avian influenza outbreaks limited the possibilities for the realization of the output by a number of producers, and led to a partial deficit in various regions of the country. “All those factors are still affecting the market, and most probably will get much worse in the next few months”, he forecasted. “In October, the prices in broiler production reached the all time high levels”, Kudryakova said. For example, the price of chicken breast fillet was higher than the prices of gammons of bacon and pork shoulders. “There is no profit accumulation growth in poultry plants which also contributes to maintaining high prices”, the expert said in November. During that time, the broiler prices stabilized, and some producers began to lower their prices. According to Kudryakova, this is related to the fact that in late autumn the sales activity is usually lower, and the poultry plants restore their livestock volume after the summer reduction. She said that these factors would lead to a negative price dynamics until the end of 2018. According to the representative of “Zdorovaya Ferma”, the current situation in the Russian meat market is a direct consequence of the fact that chicken meat has been cheap for a long time: from October 2016 to July 2017, the price of a broiler was less than 100 rubles/kg. The overproduction of this type of meat in Russia led to low or zero profitability and even to the shutdown of several poultry plants. After the number of the market players became lower, the price increase was inevitable. “The prices had to go up because the companies worked with negative profitability”, he said. “The meat prices this year were recovering after the long decrease and stagnation (late 2016 – early 2018)”, Dalnov added. “One of the main reasons for the increase was the fact that many companies incurred losses in the beginning of the year, and were forced to cut their production”, he explained. “The average prices of second category pork sides were at a “very low level” in the first three months of 2018 — 129–135 rubles/kg”, Kudryakova said. In April – July, there was a considerable movement in the market, and the prices of this type of meat went up to 175–180 rubles/kg. In August, the price of a pork side reached 200 rubles/kg. “There was a limited supply both of pork sides and live pork which contributed to the rise in prices”, the expert said. “It is worthwhile noting that the prices during this period exceeded all previously recorded maximum levels.” In July – September 2018, the price of clear pork also was very high which hadn’t been seen in the market before. For instance, the price of pork neck was over 400 rubles/kg, while the prices of a gammon of bacon and pork shoulder were around 280–290 rubles/kg. In fact, until November, the prices of these products went down by 50 rubles and more. The prices of pork sides remained high in September, however, there was a negative momentum in the market, and in October, the average price went down to 155–157 rubles/kg. “In early November, the prices went up again by 5–10 rubles/kg”, the expert added. Of course, the anticipation of the resumption of deliveries from Brazil will also affect the price formation. The Institute for Agricultural Market Studies forecasted that by the end of the year the prices would stabilize at average levels or drop even more. “Everybody noticed the price peak in August this year when the price of pork side was almost 200 rubles/kg (with VAT), but don’t forget that in the beginning of the year its price was lower than 130 rubles/kg”, Konstantin Klyuka noted. According to him, if we examine the average price in 42 weeks of 2018, then the total difference versus the same period in 2017 will be insignificant — +0.9%. “The summer rise in prices compensated for our winter losses which allowed the company to feel comfortable enough”, he said. In 42 weeks, the average price of live pork was 107 rubles/kg (which is by 0.1% lower than in the previous year), and the average price of pork side was 158 rubles/kg. The top manager expects the prices to drop next year: the optimistic forecast is by 5%, and the pessimistic — by 10%. “This is related to the launching of new facilities by key market players, and to the lifting of the ban on pork import from Brazil”, he explained. Klyuka evaluates the total profitability of the effective pork producers at 30% in 2018. “The rise in broiler meat prices stopped the processors from replacing this meat with pork, and many of them even went back to pork”, Kovalev noted. “In the end, however, the price balance was zero. The average prices in the outgoing year are almost the same as in 2017, which means that the profitability of the pork producers remains the same”, the expert said. “The rise in ex-works prices of poultry from 15 to 25% in different regions was partially levelled by the retailers in order to avoid the collapse of the consumer demand for such bestselling product as broiler, however, it hardly compensated for the price failure in 2016–2018, which was around 14%, unadjusted for inflation”, Albert Davleev added. “Promagro” also purchased new equipment for the development of its meat processing operations: a cutter for fixed weight pieces and steaks, metal detectors installed at the unloading points of the packaged products, a leanness analyzer. The company spent a total amount of more than 70 mln rubles on this. “In 2019, we plan to continue these investments”, Klyuka added. By the end of 2018, the agricultural holding company “Yubileiniy” plans to increase the pork production by 13% on live weight basis. “The increase is based on two factors”, Mamontov explained. “The first one is the correction of the feeding program with increasing amino acid content in the feed. The second one is the optimization of the technological processes, and particularly, the microclimate in the production facilities of the pig breeding complex.” “However, we don’t plan to expand our volumes next year”, he added. 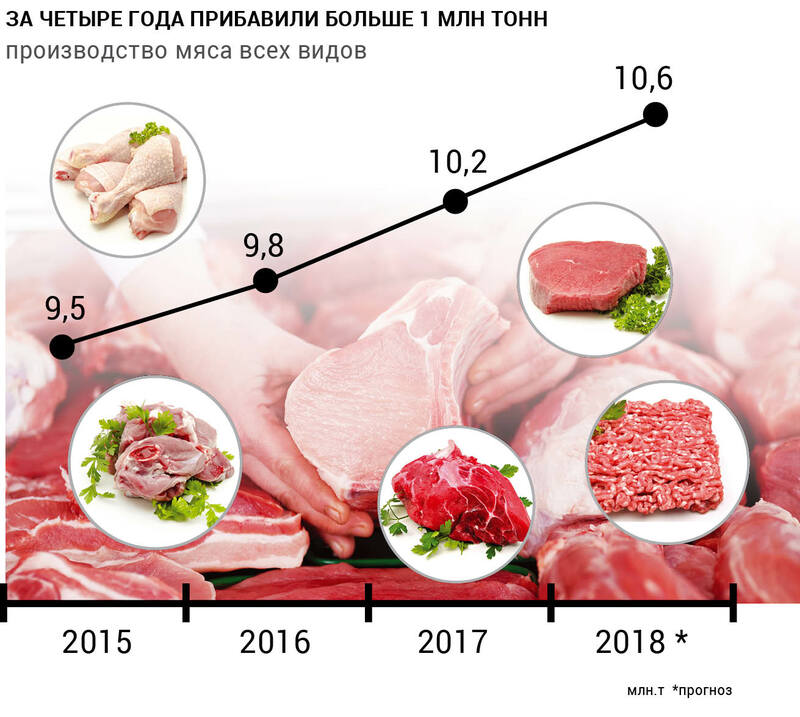 As of year-end 2018, “Cherkizovo” Group plans to produce 619 ths t of broiler meat, 242 ths t of pork and 55 ths t of turkey on live weight basis. The volumes are mainly increased in the pork production segment (+30 ths t by 2017). The increase was secured by the plants in Voronezh, Lipetsk, Oryol and Penza regions. New complexes will be launched in Penza region in 2019. The company plans to produce a total of 282 ths t. According to the company’s press service, in 2018, the development investments were approximately 10 bln rubles. “Agro-Belogorie” plans to increase the pork supply in 2018 to 214 ths t compared to 172 ths t in 2017. Vladimir Matlahov, Director of Pig Breeding and Feed Production, explained that the increase is based on the commissioning of five new complexes which will soon reach their design capacity. According to the nine-month results, the company produced more than 158 ths t of pork on live weight basis, which is by 27.2% more than in the previous year. “Zdorovaya Ferma” plans to produce 116 ths t of meat on a carcass weight basis this year (including 16 ths t of pork), which is by 2.2% more than in 2017, and 620 mln eggs, which is by 3.3% more than in the previous year. “The production volume growth is based on the improvement of the production characteristics of animal breeding, strict biosafety control in the company plants and the increase of the capacity of the existing facilities”, the company representative explained. According to Yuriy Kovalev, the pork production growth in 2019 will also be significant because the market players continue to commission new facilities. “2018 will be the last year of preferential loan granting for commercial pork production, and the projects that started during this period of time will secure a stable growth until 2022”, he explained. “They are currently at different stages of realization (some plants build new facilities and purchase livestock, while others are still preparing the necessary documentation), however, everything is on schedule.” In the next 4–5 years, these projects will cover the diminishing volumes due to the liquidation of production in household farm sector, bankruptcy of old plants, import drop, and will even lead to export growth by 200 ths t.
“The broiler meat production volumes are expected to drop for the first time in the last twenty years”, Davleev said. According to him, this sector will not grow or will decrease by 2–3%, or 100 ths t on a carcass weight basis. 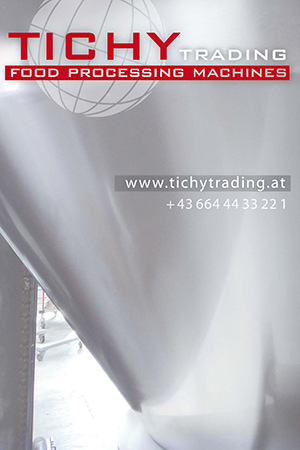 At the same time, the turkey production will continue to grow steadily and will increase by 10–15%. The pork import decreased more than 10 times. No other country could fully substitute the import from Brazil. “The partial renewal of pork import from this country since November should stabilize the Russian pork market”, Kudryakova said.